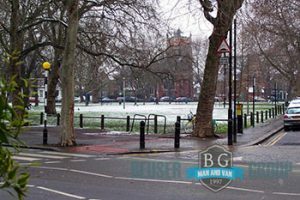 Beuser Group is a leading provider of quality man and van services in South West London. As the top notch relocation company in the area we are ready to take up your project and carry it out in a manner that is up to all industry standards. We operate with the latest transit vans and some of the best equipment known to the industry, thus making sure that the South West London man and van solution that you get from us is just the thing you have hoped for. Our responsible movers, very dedicated packers and drivers are individuals who are licensed, insured and very well trained. They are able to handle even the largest relocation jobs with care for the detail and diligence that are unmatched by the competition. It is of little importance whether the project you need us for is big or small, simple or complex. Our offers are suitable for full scale domestic and office moving, as well as for store purchase deliveries and small, albeit more specific projects that require more attention. The best part comes when we start talking about money. Check out our great removal quote calculator and our competitive rates by requesting a free estimate from our friendly and helpful around the clock customer support. 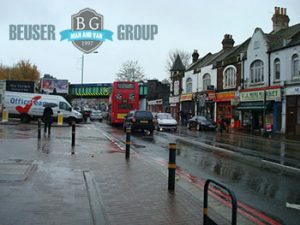 We are based and operating, as we have had the chance to mention, in the boroughs that constitute the territory of South West London – Croydon, Kingston upon Thames, Lambeth, Merton, Richmond upon Thames, Sutton, Wandsworth. There are 1.6 million people living here according to the last census, and Bureau of Labour’s statistics show that there are as many as 700 000 jobs currently available in the area. The rest of the people living here usually commute to Central London for work, which is not a problem, because of the very good transport links that South West London enjoys via rail and road. The area is home to the Heathrow International Airport, which is the biggest air-fare hub in the country. Thus South West London becomes the first part of the capital that people landing here see. Nothing bad is going to happen to your goods while they are on the road with us. In addition to being very suitable for full property domestic relocations, our man and van in South West London solutions are perfect for office moving too. Your sensitive equipment, expensive furniture and important company archives are going to be transported in a timely fashion to their assigned location and you will not have to worry about a thing. Just give a call. 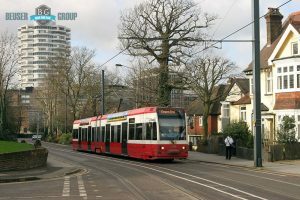 A really big urban centre with administrative and commercial important for South West London is the former town of Croydon, which currently gives its name to the borough of the same name. The area was home to the notable Croydon Airport, which shut down in 1959, as well as to a number of other notable landmarks many of which still stand. The Nestle Tower – the company’s European headquarters are located in London, and so is the Surrey Street Market, one of the biggest markets in London. South West London is also noted as a great place to live if you want to be near the City. The London Borough of Lambeth contains a lot of desirable properties and is populated by scores of young professionals who prefer the excitement of the big city to the peace and quiet of the suburbs. There are several bridge-crossings connecting Lambeth to the City of London and Westminster.